This year, I’ve been teaming up with Staples to help your families go back to school with confidence! 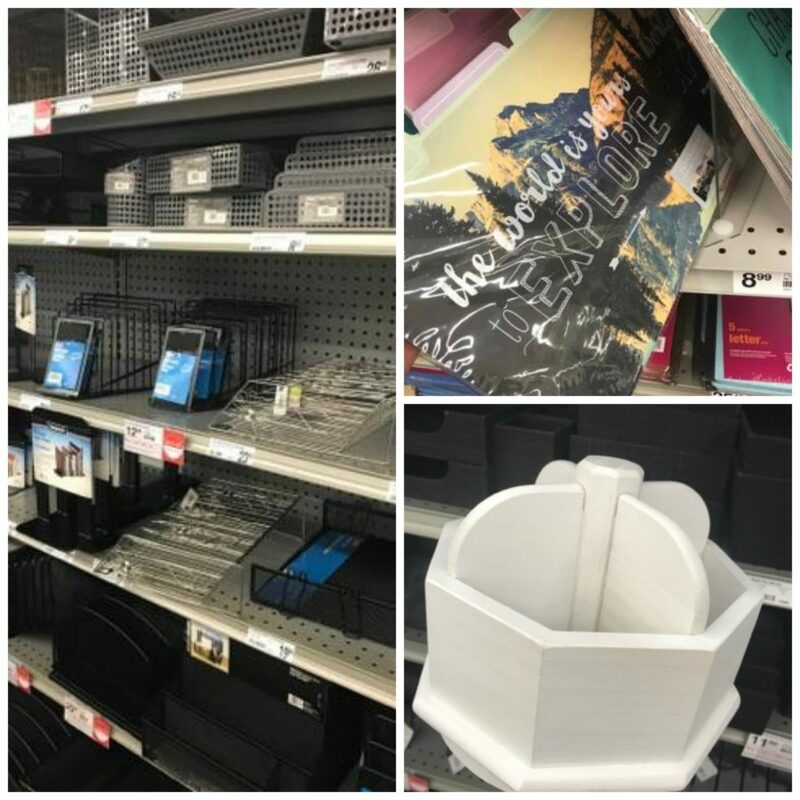 In case you missed it, you might want to read my Staples store shopping trip and the Scan my List feature I’ve written about this summer. It’s possible as you’re reading this that your kids are headed back to school within the week, or perhaps they’ve already started. 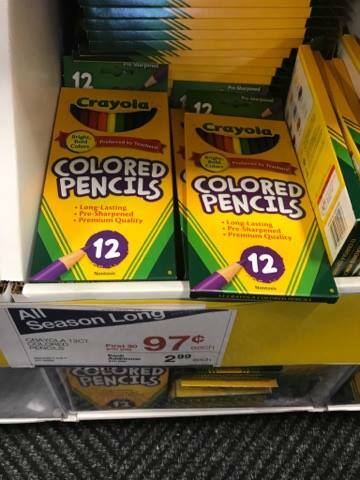 Given that, I’m guessing that many of you have completed (or are close to completing) your school shopping for this season. But before this shopping season ends, I want to encourage you to consider a final element you might have overlooked: your kids’ homework spaces! I know my kids do best when they have an organized, well-stocked space to do their homework in. This space can also serve for art projects and other learning activities outside of school. 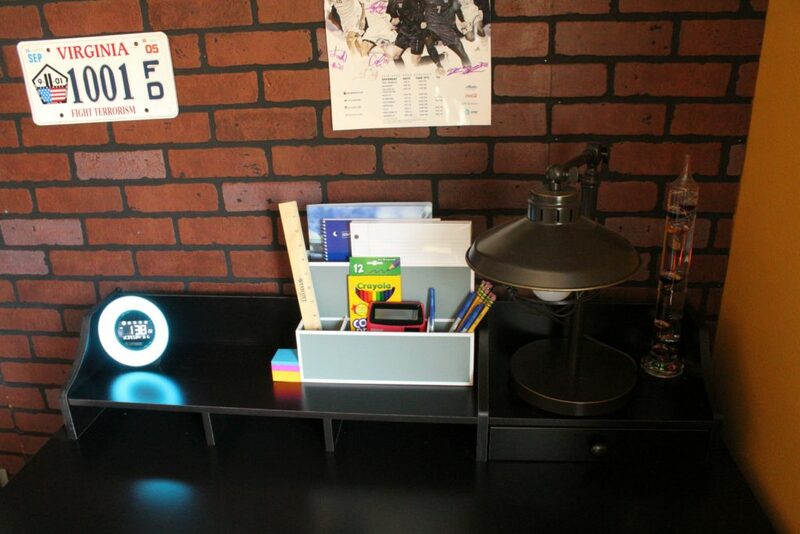 Today I want to talk about how I shopped at Staples to create homework spaces for my kids. I hope it will inspire you to do the same! 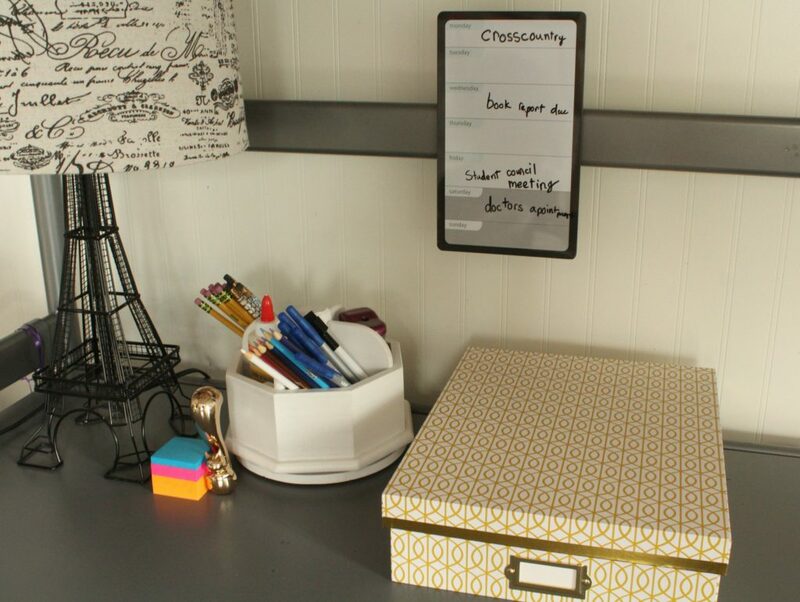 Tip #1: Identify your homework spaces and clear them up. After years of using the kitchen counter, we finally decided to give our kids their own desk spaces in their room. We felt it was important that they each have quiet, dedicated spaces to learn, work, and create. Of course, not everyone has this option. Whatever the case – identify where in your house will be the designated homework space, and aim to keep it clear of clutter. As you can tell from the above photo, my son’s desk was not back-to-school ready! 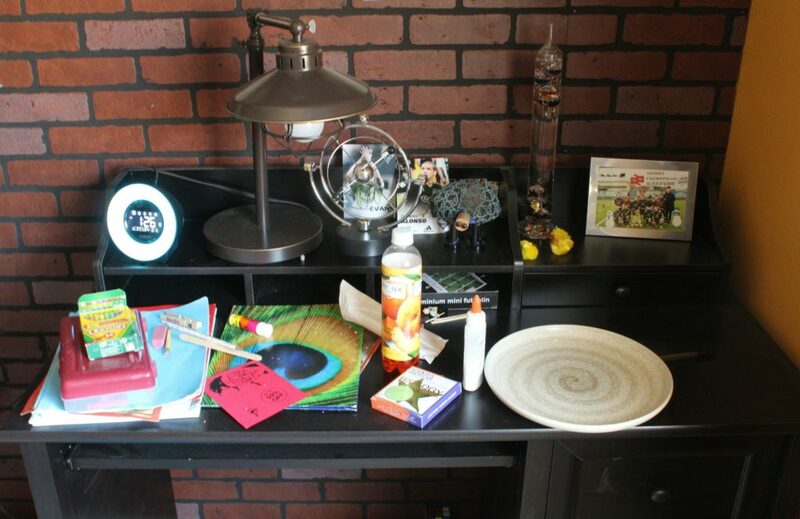 In fact, he still had items from the end of the last school year stacked up on his desk! Here’s my daughter’s desk area. As you can tell, it was already pretty tidy to begin with! However, I still wanted to give it a bit of a new look to get her excited about back-to-school season. 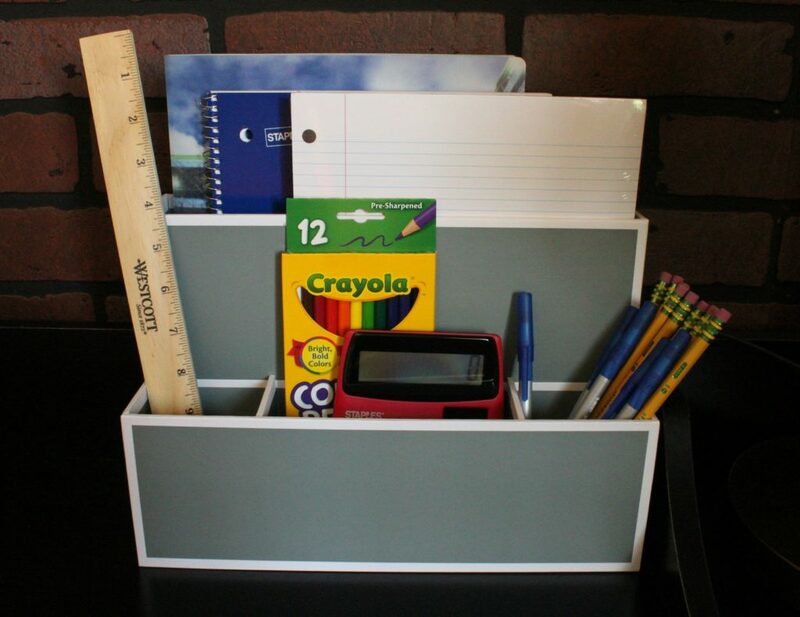 Tip #2: Find organizers that fit their style as well as their space. 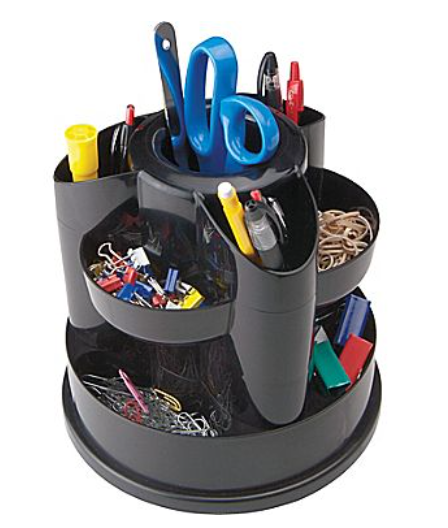 This spinning organizer is $15.99 and would be great for holding lots of little supplies as well as pens, pencils, and scissors. For my son’s room, I found this desk organizer. It had the right amount of compartments, and the slim width meant it could fit neatly on his desk. My daughter loves cute and pretty things (as well as practical), so I opted for this four section spinning organizer. I also found her this stylish box to hold extra supplies, including blank paper and folders. Tip #3: Stock up on the extra supplies they’ll need. While I was at Staples picking up the organizers, I grabbed a few of these items. Let me tell you, stock is still good and the prices are fantastic! 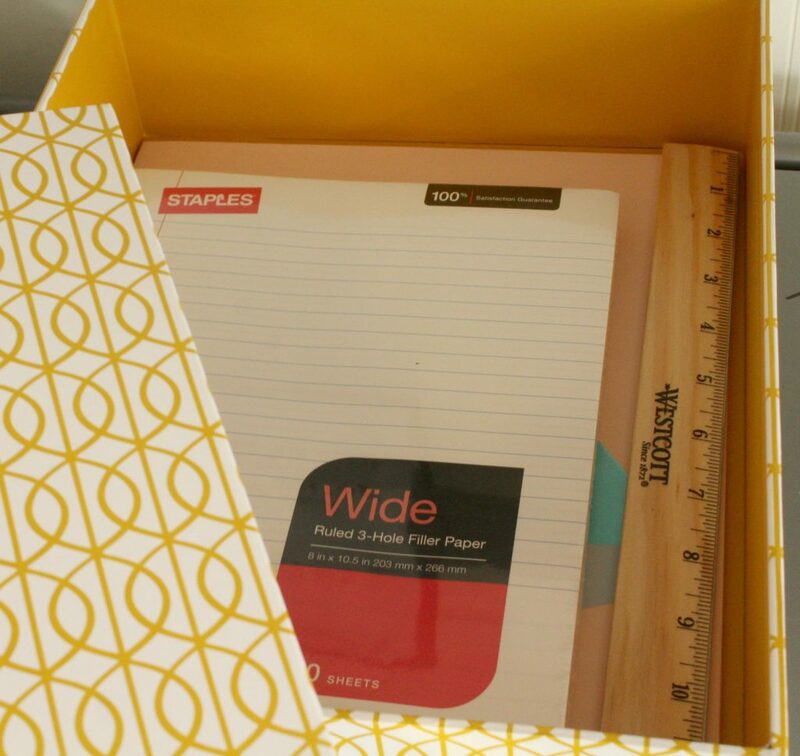 I also found her this stylish DwellStudio storage box to hold extra supplies, including blank paper and folders. 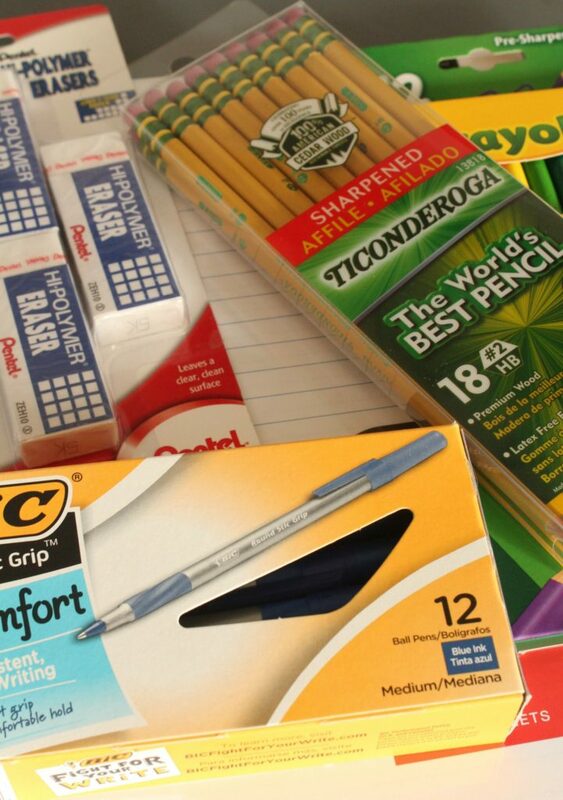 Head to Staples’ Back to School Center to check out the selection and deals! Ready to see my kids’ final homework spaces? Here’s my son’s final desk! Doesn’t it look perfect for a boy entering Junior High? I wanted to leave it mostly empty for him, but I have just the right supplies on hand for him to access – lots of pencils, paper, a ruler, and a calculator. I surprised him with this and he loved it! And here’s my daughter’s. She loves having lots of pencils and pens handy, so I also made sure to tuck in an extra eraser and pencil sharpener for her. The box is cute and stylish enough to leave out on the desk, and practical enough to store it underneath if she prefers. She was very happy with all the cute, organized items and is feeling energized for school to start! Here’s my kids #1 homework buddy: Smike! He looked on curiously as we were doing our organizing. 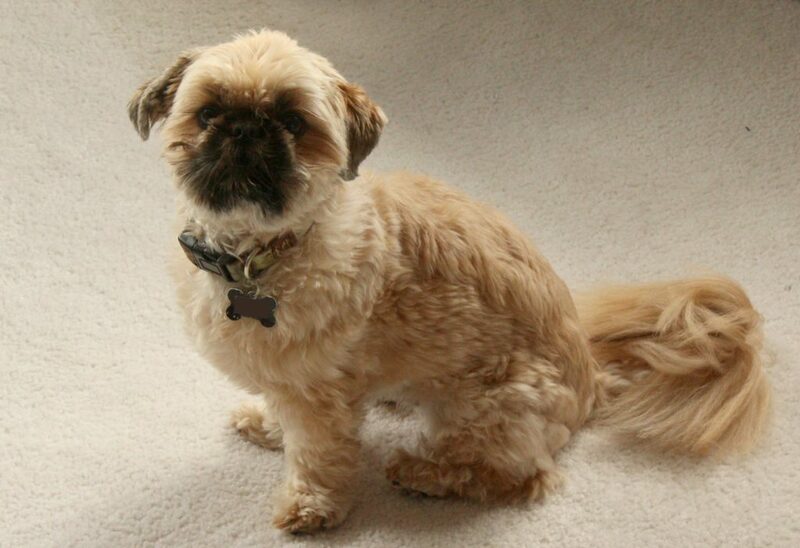 What do you think – does he look like the kind of dog you could blame “eating the homework” on? 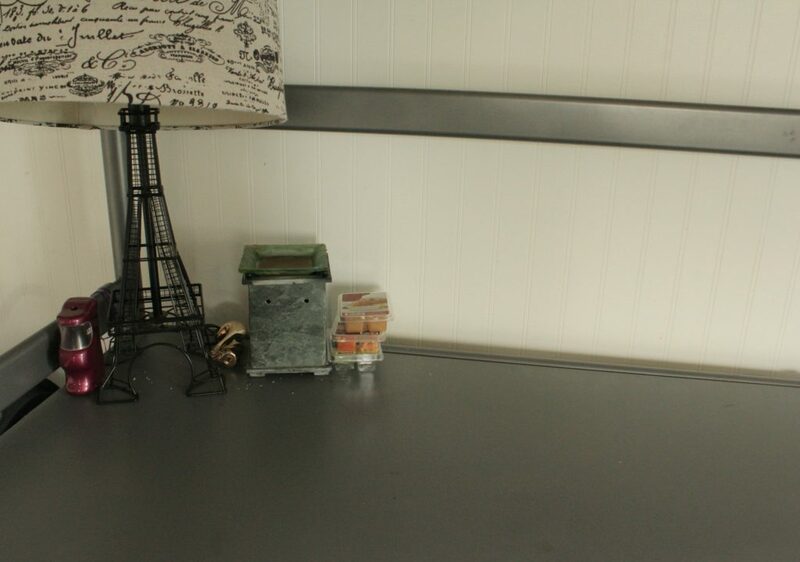 I hope I’ve given you some practical tips and reasons for organizing a homework space for your kids this year! 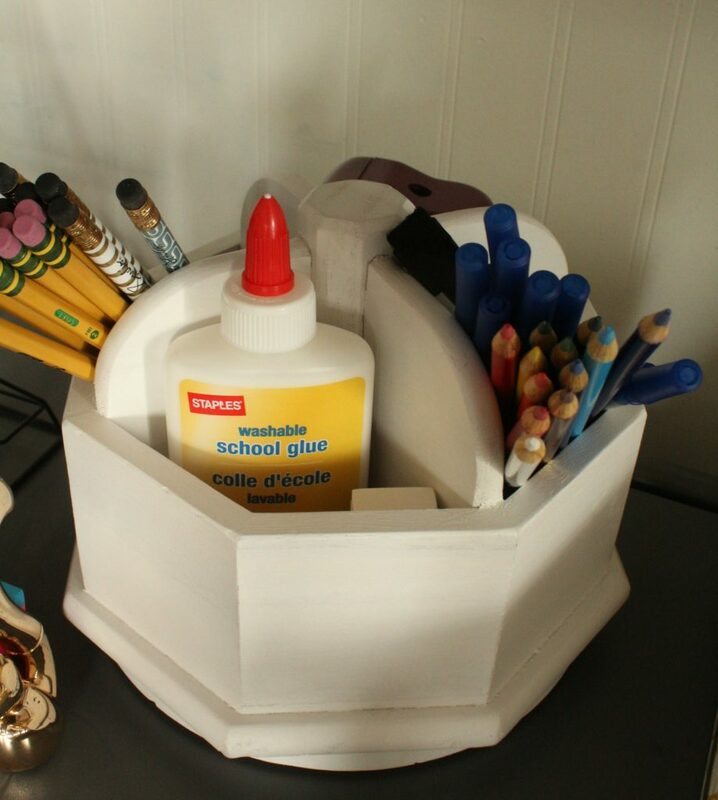 I’d love to know what other supplies or ideas you’d add – feel free to leave a comment below! Disclosure: this post comes as part of a sponsorship from Staples. All opinions are my own. Please see my Disclosure Policy for more.